SynEdge’s global infrastructure allows seamless transitions of viewers dependent on network conditions. SynEdge developed its architecture to scale with the most high volume traffic spikes, ensuring your content reaches it’s end user. Our powerful analytics engine provides industry standard reporting metrics and the ability to dive deeper into account specific data. 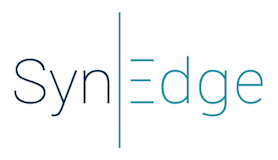 SynEdge has developed an analytics platform that allows you in-depth insights to au- diences and their behavior therefore granting your business the opportunity to grow with the latest trends in viewership. SynEdge’s user friendly control and management portal allows businesses to configure deliveries on a per asset level. The management portal allows you to limit downloads to specific territories by set volumes.